The concept of “white supremacy” has spread almost everywhere around the world, along with colonization. This concept of deeming lighter skin as better has been problematized since it contains aspects of racial discrimination, compared to other physical traits, such as height. This paper will deal with colorism, which can be a form of racial discrimination, but is simply discrimination according to skin color. It is not common to find a distinct lighter skin color preference or privilege in Japan like that in India, possibly because of its mostly homogeneous population. However, a preference for a fair complexion as a form of beauty still exists in Japan. This paper will address colorism in Japan by looking at Japan’s marriage scene, which is assumed to have a clear connection with colorism. This paper will analyze how Japan’s marriage scene relates to the concept of white supremacy, addressing how fair complexions are preferred over other skin colors, and treated as a trait of beauty in women. The first part of this essay will describe the history of fair skin as a beauty trait in Japan. The second part of essay will explain Japan’s marriage scene, and the role fair complexions play in the shifting scene. The third part of the essay will describe how there is still a preference for fair skin in modern Japanese society. Finally, a conclusion will be drawn by comparing the situation of the preference for fair complexions in Japan with other multi-racial countries. It is crucial to know the origin of the preference for fair skin in Japan. White skin is actually a traditional concept of beauty, with the notion of fair complexions as beautiful in Japan started in the Heian Era, from 794AD to 1192AD (Graham-Diaz, 2001). The reason for the preference of fair skin back then is quite different from today. The lifestyles of rich, noble women who were considered sophisticated and classy during the Heian Era consisted of just staying indoors in their residence without going outside, waiting for the men to be back. In this era, it was semi-dark inside the residence even during the daytime and there was not enough light at night thus women needed to have extremely white complexions, so that the face would stand out and be attractive in such environment where there is not enough light. That is why the tradition of putting powder on their face to make it look white began. White powder thus became a common make-up to look beautiful in the Heian Era. However, the trend of applying heavy make-up on the face did not last long, and died out after the Heian period. It was in the Edo era (1603AD to 1868AD) that such make-up became popular again. This style of make-up still remains in Japan on maiko and geisha who are now symbolic of the traditional city of Kyoto (Graham-Diaz, 2001). Although the standard of other physical preferences in Japan differed in different times of history, women with fair complexion have been always preferred, not just during the Heian and Edo periods. In this second part the focus will shift to Japan’s marriage scene, which is a great scene to view the preference of fair complexions even through the many shifts and changes over time. In Japan, there have been two types of marriage: arranged marriage s and love marriages. Although more than 90 percent of today’s marriages in Japan are love marriages, arranged marriages were more common until a few decades ago. Data show that the shift of the percentage from arranged marriages to love marriages in Japan has been dramatic. Arranged marriages accounted for nearly 70% in the 1930s, but the proportion of love marriages gradually increased, whilst arranged marriage decreased relatively. The number of love marriages surpassed the number of arranged marriages only recently in the 1960s (National Social Security, Population Problem Research Center, n.d.). The traditional Japanese style arranged marriage is called miai. In the process of miai, a written profile with a picture called tsurigaki is used as a marriage resume that helps find a marriage partner (Hendry, 1981). 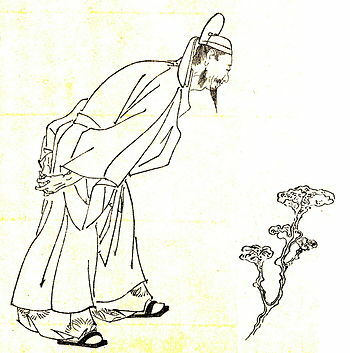 A person who wants to get married gives his/her tsurigaki to a matchmaker. The matchmaker tries to find a good partner for them either from other tsurigaki he or she has or from tsurigaki other matchmakers have. The matchmakers pass the tsurigaki to the potential couple, and if they are interested, they can arrange a meeting. In miai, there has been racial, class, and genetic discrimination. The most common discrimination was against members of the Burakumin. A matchmaker requires candidates to submit a family history to prove that they are not a member of the Burakumin. Many Zainichi Koreans were also discriminated against for being non-pure Japanese. 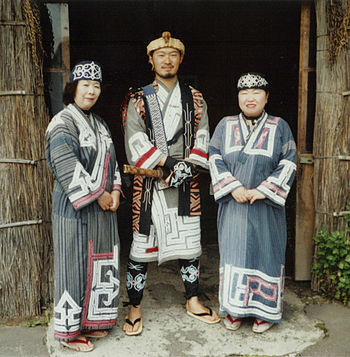 Members of the Ainu, an indigenous people in Hokkaido were usually avoided as well. As a genetic discrimination, descendants of hibakusha, those who were exposed to radiation from the atomic bombs in Hiroshima and Nagasaki were avoided since there were stories of possibilities of rare diseases (Uchida, 2002). Due to such discrimination, those people could not even have the opportunity for having miai. There was also a preference for women with a fair complexion; however, this did not mean people of darker complexions could not participate in miai. The existence of a preference for a white skin was because of its beauty, and a belief that can be seen from an Japanese old proverb: 色の白いは七難隠す, which literally means a fair complexion hides faults (Old Proverb Dictionary, n.d.). It is basically saying that as long as a woman has fair skin, she can be forgiven for her faults. Thus even if a woman’s other features are not considered beautiful, having a fair complexion is the most important in determining her beauty. This third part will address a preference for a fair skin in modern Japanese society. As stated in the introduction, it is not really common to feel and find white supremacy recent days in Japan. As can be seen by the explanation of white skin as form of traditional beauty, this may be because white skin is not associated with Europeans or being a different race. It only means having a fair complexion compare to everyone else in society who are mostly Japanese. As the form of marriage shifted to love marriage and people desperately look for love, the online matching site became popular in Japan (Tokuhiro, 2010). Getting deeper into the online world, more casual version of matching site, online dating sites also appeared. 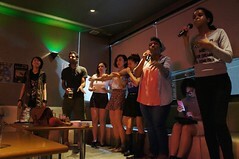 People especially young generation use the site to meet new people. On the website, they make profile for other people to look at. Thus, modern days tsurigaki is online and more casual. Same as a miai picture, a picture is important for the profile to give good impression on both matching site and online dating site. Recently, girls use apps to edit their photos to make them more attractive. For example, they make their face look whiter and make their eyes bigger. Another type of edited photo that is used for profile is purikura. Purikura is a type of photo that is popular among girls in Japan. Purikura automatically edits the people to look prettier. For example, it makes eyes bigger, makes legs longer, and sharpens chin and nose. The most obvious change purikura makes is the skin. It makes skin look brighter and whiter. Those effects of purikura reflect a physical preference for women. Hence, recently in Japan, we can acknowledge the existence of a fair complexion for women by looking at technology. In conclusion, the form of marriage has shifted from arranged marriage to love marriage in Japan. Comparing to the marriage scene for example, in India, Japan’s preference in fair complexion seems to not be as prominent, but still exists. This may be because it is a relatively homogenous society, so everyone has a similar level of skin colour, whereas in India, there are different races that have differences in complexions. In Japan, the concept of white skin as beautiful has existed since the Heian period in the 1st century, and still exists today as can be seen in the purikura machines that automatically make girls have features that they believe are beautiful. The marriage scene reflected how women’s beauty were determined only by how fair their skin was, and how having darker skin put a woman at a disadvantage of being wanted as a bride, which in the end, is not so different to the discrimination in a country like India. Tokuhiro, Y. (2010). Marriage in contemporary Japan. Milton Park, Abingdon, Oxon: Routledge.